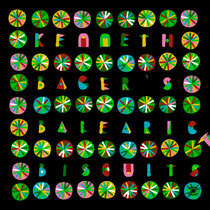 The Music For Dreams label releases ‘Kenneth Bager’s Balearic Biscuits’ today, a contemporary 17-track electronica compilation album on that embodies the laid back spirit of Ibiza. The album, which has been compiled by the Danish DJ/producer, contains the Jay Flora version of ‘Get Lucky’ and many other quirky tracks including Leisure Connection ‘Jungle Dancing’, a remix of Danish Duo Laidback’s ‘White Horse’ by Visti & Meyland, DJ/producer Tuccillo’s first track from his new downtempo project Tuccinelli (named after the great Gino Vanelli), the Kenneth Bager Experience remix of Hess Is More ‘Creation’, as well as his own track ‘What’s My Name’ featuring leading actress Sofie Gråbøl from the TV series The Killing. Last summer, Kenneth brought proper chill out back to Ibiza for the first time in a decade at his weekly Café Mambo parties. He also released the ‘Cafe Mambo – The Sunset Sessions’ and ‘Cafe Mambo - Twilight Sessions’ on his Music For Dreams label. He’s also the promoter of the Apple Flower Festival as well as Coma Club, which celebrated its 25th Anniversary in November with a lavish party in Copenhagen. It’s out today, have a listen below.